We received the box back from Corian today. Although the exterior looked beautiful, we immediately realized that the inner tray was made entirely out of the non-illumination series. 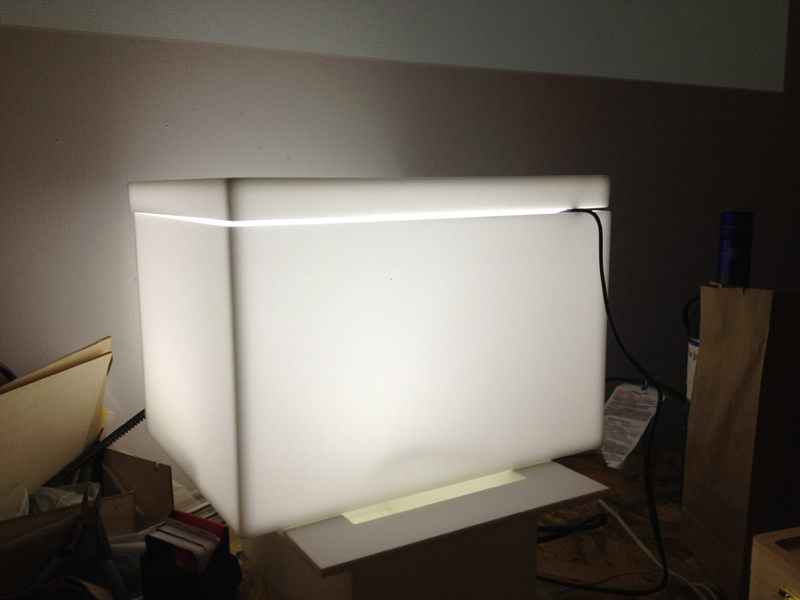 We specified the bottom of the inner tray to made out of the illumination series. We also noticed a large tolerance around the outer edge of the tray. If left as is, this would mean that the components inside would be visible and that light would seep out. 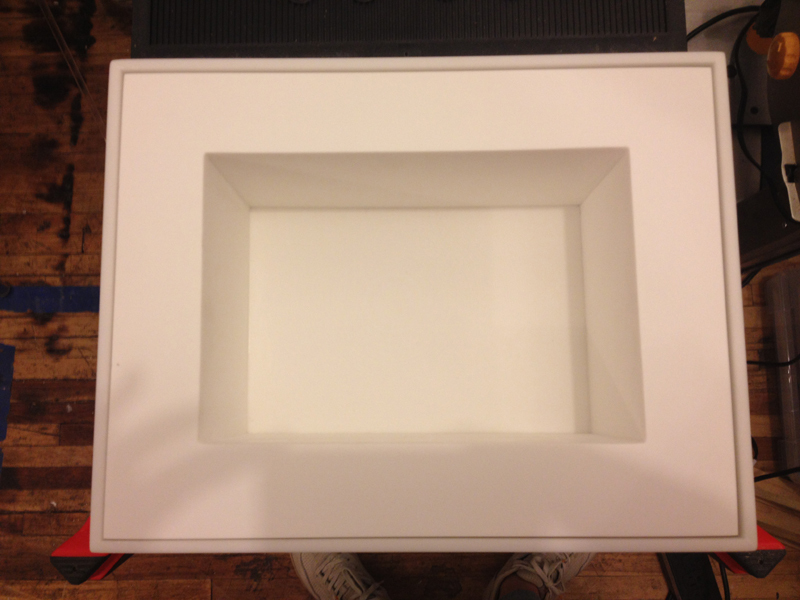 We had to talk with the Corian team to return the tray and have it remade.